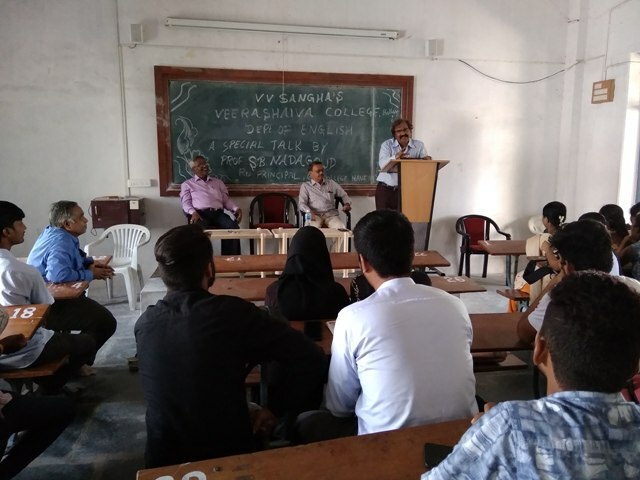 The Department of English and English Literary Association of Veerashaiva College arranged a special talk for students of B.A. on 08/04/2019. Prof.S.B.Nada Goud, Retired Principal of G.H. College, Haveri, was invited as resource person. In his address to students, Prof.Nada Goud spoke at length on the need of learning English language in modern days. He drew the attention of the students to various simple ways of learning English at global level. He said that English is no more the property of England but it is the official link language of all the nations of the world. He further mentioned that in the name of learning English, mother tongues need not be neglected; equal importance must be given to both the languages. In order to get jobs in multinational companies, English must be learnt making use of language structures, grammar and vocabulary. He forewarned the students about the influences mode by mother tongue structures. He also enlightened the students regarding phonetics of English language. The President of the function, Dr.G.Rajashekhar advised the students to make the right use of experienced recommendations and suggestions made by the resource person and experts in order to improve their employability skills. 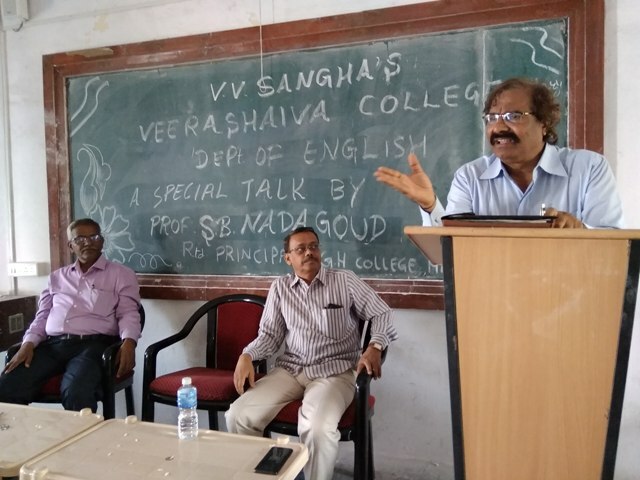 The head of the department of English Dr.B.O.Satyanarayana Reddy was present on the occasion and the proramme was compeered by Dr.A.Mallikarjunappa, the senior faculty of the department.